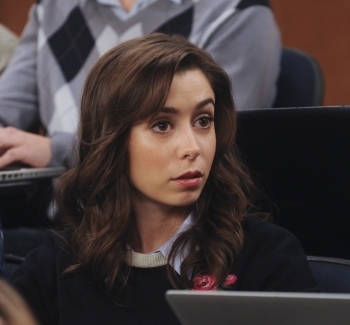 How I Met Your Mother: "How Your Mother Met Me." Quick Review: One of the most hauntingly beautiful episodes of the entire series. Spoiler Alert. No, seriously, I mean it this time. If there is one episode of the entire series you want to watch unspoiled, this is it. I mean, you can pretty much figure out what it's going to cover by the episode title, but trust me, you have no idea what's to come. There could be a bear juggling chainsaws, and rather than be surprised by the surprise appearance of said bear, you'd know it was coming and it would ruin the surprise. That was just an example, there is no bear juggling chainsaws in this episode. It's way more awesome than that, and if you've ever seen a bear juggle chainsaws, then you know where the bar is. So yeah, please watch the episode first. 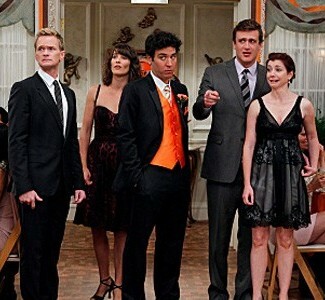 How I Met Your Mother: "Unpause"
Quick Review: A lot happens in this episode. A lot. Spoilers ahead, and seriously, seriously, there are some major things happening in this episode. You might have disregarded all my other warnings, much like you might disregard a sign reading "Beware of Ring-Bear." I understand that you might have thought all the other "spoilers" were no big deal. Trust me, tonight's different. Of course, I can't stop you. You are free to traipse along your merry way and get good and spoiled. Just remember, you can't pause your eyeballs. All right, you can pause them. You can close them, and that's pretty much like a pause. But then people will ask you why you're reading a website with your eyes closed, and won't you look silly. How I Met Your Mother: "Slapsgiving 3: Slappointment in Slapmarra"
Quick Review: While not the best "Slap" episode, it's still pretty good. Spoilers ahead. Now, you might think yourself capable of handling what's ahead. Perhaps you think you have the strength of will to read the review and yet resist the spoilers. Fool! You lack the training, the discipline, and the fortitude that will enable you to resist the oncoming spoilers. Perhaps if you go on a quest to seek the great Spoiler Master, you will learn the ways of remaining spoiler free. But until then, know that if you proceed any further, you will be spoiled. Labels: Episode Review, How I Met Your Mother, Slapsgiving 3: Slappointment in Slapmarra"